Netbook with powerful graphics? 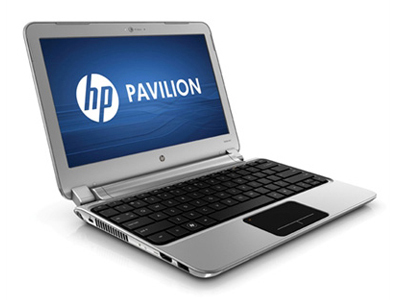 HP is trusting in the latest Fusion hardware from AMD for this dm1-3180eg netbook. An E-350 dual-core processor, 3 GB of RAM and an integrated HD 6310 graphics chip should boost the 11-inch midget’s performance. HP's Pavilion dm1 feels like a strange breed of a portable computing device. The 11.6-inch Pavilion dm1 resembles a miniaturized version of the 13-inch Pavilion dm3t rather than the old dm1z. It includes AMD's Vision technology powered by an AMD Fusion APU which integrates a Microsoft DirectX 11-capable GPU into the main processor. The HP dm1 2011 version is a fantastic option for students or anyone else on a budget looking for a light weight, good performance and battery efficient laptop. You might desire a more powerful computer for use at home, but for on campus uses the dm1z provides more than enough power and battery life thanks to the new AMD Fusion processor. The price is what really makes the dm1z attractive, for around $400 after the HP student discount you get a very capable little computer with way more features than you’d expect at that price point. A big thumbs up to anyone in the market or interested in the dm1z!